Our system works with both Android and iPhone and features real time page updates without the need to rebuild and repackage the app each time. 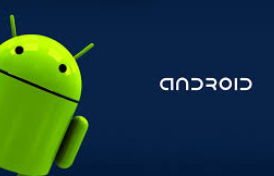 You will need your own Google Developer or App Store Developer account to publish your app(s). Google charges a one time fee of $25 which is good for life and unlimited apps. With Apple, the developer panel is free however they do charge $99 per app. Create special pages for your Youtube, Vimeo, SHOUTcast or Icecast streams with our media player builder by entering the stream URL and setting the background color to any in the spectrum. We've teamed up with One Signal, the world's leading Mobile and Web Push Notification service so you can quickly send a message to all of your app users at once. Create as many app pages as you like including swipe left/right tabs with the built in WYSIWYG editor, or enter your current web page url to set up a redirect in real time. My Auto Dj on Google Play uses this web page (https://myautodj.com/android.php) as the home page and is a great example of a standard use app and demostrates how easy it is to include your media stream. Complete Criminal Checks on Google Play is fully managed by the app builder and makes use of the page redirect option. This lets you enter any website url for any of the pages or tabs that you create. Using the page redirect option does require the wepage to be responsive (ie. fit perfect on any size device). Our web based system allows you easily make changes to your pages, menu, menu order and more. These type of updates are done instantly and in real time, there is no need to rebuild the app if you want to add or edit a page. 1. You provide basic details about your company such as the title, logo or avatar which will be used for the app launcher and a background image. 3. You upload the source file to your Google Play or App Store account. The app pages menu is managed remotely from your app builder in real time and without the need to re-compile and re-publish the app. The App Builder offers two different options for including ads in your app, either directly in the build using Ad Mob, or by embedding ad code in the HTML of the app pages. All internal pages include full SSL 128 bit encryption, which is a data and file encryption technique to ensure your app users are protected while using your app. After you have paid for 1 full year of service and the initial build fee, complete app ownership including the important Key File will be provided for download. Create as many SHOUTcast/Icecast players as you like featuring the currently playing artist name/image, song title, share links and more using raw HTML5 coding guaranteed to work on any device!. 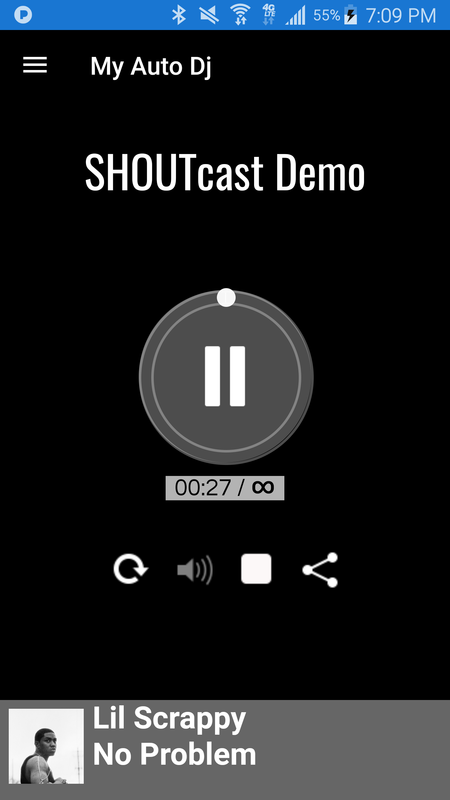 You can arrange your SHOUTcast/Icecast player page as the homepage to automatically open when the user first loads the app. Users are given the option of sharing via Facebook or Twitter. Youtube/Vimeo video streams will also work in the players and feature a full responsive design with standard/full screen movie view.